We’ve all had accidents cutting ourselves and we ended up having droplets of blood on our clothes or the floors and carpets. There are ways you can do this without too much issues involved, using a few things in the process. Make a paste using cornstarch or talcum powder and water. You can use it to blot out the spots of blood until its dry, then using a brush you can simply clean the area, vacuuming when you’re done. This will work only on non-porous surfaces, so you would do well to keep this in mind before using it. You can also do the same thing by using meat tenderizing powder and water. It would take about 20 minutes or so, but you will have the chance to clean the same way. You can also clean leather form blood with the help of hydrogen peroxide. It will react with the natural enzyme catalase, which in turn will break it down so you can wipe it off. If you have drops of blood falling on fabric, then you can do the peroxide trick again, but it will take more than a few applications to ensure you have it cleaned out with no issues. Having a child with an artistic bend means you will need to deal with their propensity for drawing everywhere in some extreme cases, but you don’t need to worry about it too much. You can use a simple toothbrush and toothpaste to get the crayons out of a cloth or you can use an ammonia-soaked cloth to do the same thing. It will work best on painted walls, so you will need to remember to wear gloves while you work with it. You can rinse each spot with a wet cloth once you’re done, letting it dry of when you do. Windows tend to be a real bother if the streets are dusty or you live in an area that requires you to clean them on a regular basis. Thankfully, there are ways you can do this easily, mainly through the use of water and vinegar as a cheap and useful combination for cleaning glass without streaking. You can also dust the windows by using a simple paintbrush or a dust mop before you actually wash them to avoid mud spots. 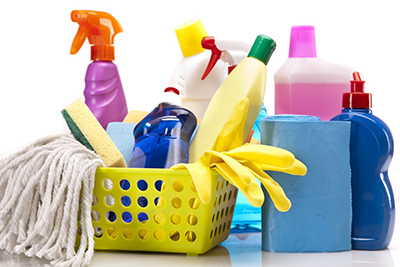 We hope that these house cleaning tips help! As always MaidThis! 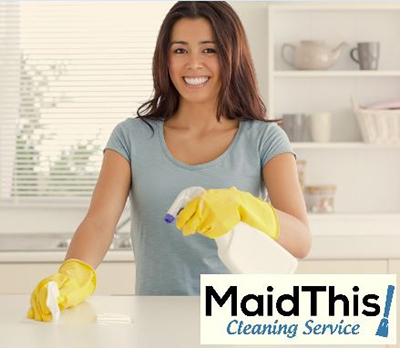 is here to provide the best in-class maid service (and cleaning tricks!) to the Los Angeles community.